…altough I have barely done serious game developing in the last 3 years (my last ludum dare was LD23), am using outdated software, and only just now realized the LD was this weekend instead of the next one! Thankfully I get more done under pressure. Silver lining! So basically this time I’m just entering too see what I’m still capable off, with zero expectations. I’ll probably get some practise this week. Cue the training montage music!!! Ok, I’m finally done and I wouldn’t know what more to add. 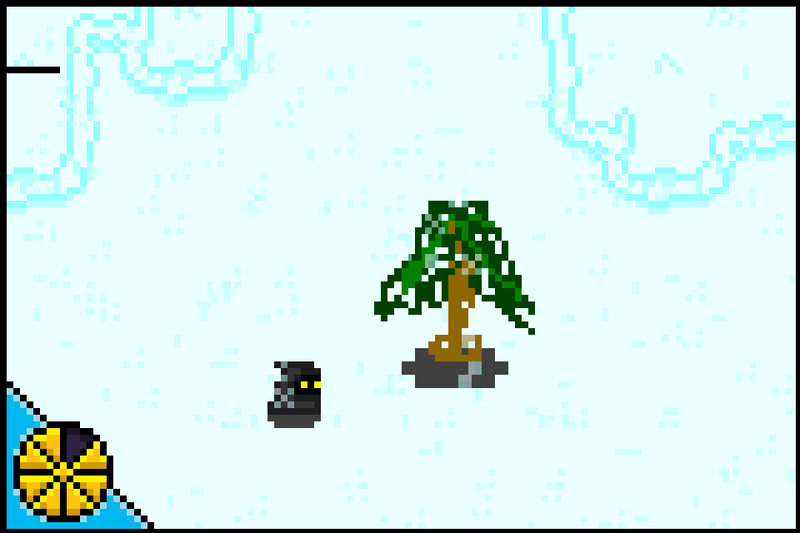 Kao is stranded in a snowy world with monsters and little resources. Arrow keys to move, X to select action, Z to use action. I’m glad it’s over, but it was fun! I’ll definetly join next time! As the title says, this is my first ludum dare. I’m looking forward to making a game in this competition. Usually i don’t finish any of my games, but I’m hoping the time pressure of the dare can help me finish this one. Recently I thought of a fun new mechanic that i might be able to program even within the first 24 hours.